Gift a tea coupon to a friend. Gift Cards instead of gifts to your dear ones. Let them choose the teas they prefer. Gift certificates are excellent choices as gifting solutions for any occasion. Birthday, Anniversary, Christmas, Wedding, or just to say Thank You, to your friends and dear ones. See how their eyes sparkle with joy upon receipt. 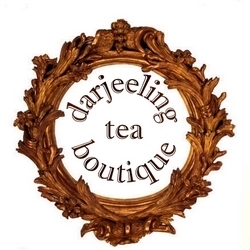 This product entitles the receiver a gift voucher worth US$30 of Premium Darjeeling Tea shipped free of charge, directly from Darjeeling, India. It has a lifetime validity and expires only upon first use. Step 3. A notification will be sent to you about the receipt. Validity of Gift Cards: This card has a lifetime validity and expires after first use. Use the code generated during checkout. The value of the card cannot be exchanged for cash. Under utilized amount cannot be en-cashed. In case, the total order value exceeds the Gift Card value, the remaining amount has to be paid by the recipient during checkout. This Gift Card is not transferable and can only be utilized by the recipient. Any use by the non-recipient will be assumed as a security breach and the transaction nullified. However, a written request may be made for any such transfer.